The Ötztal’s main resort is Längenfeld. 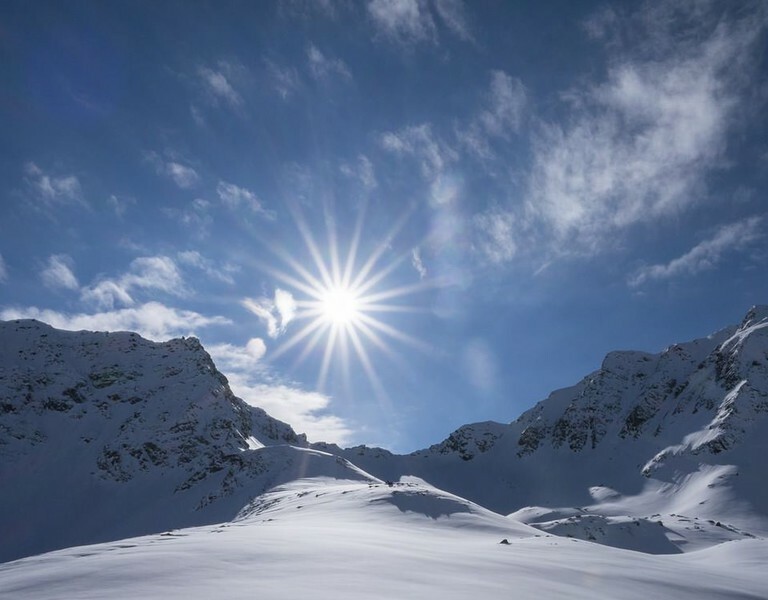 Located at the heart of the valley and surrounded by mighty peaks, the town is the perfect destination for outdoor enthusiasts and nature lovers. Cross-country skiers will find their paradise in Längenfeld: with 70 beautifully-groomed kilometers of cross country trails weaving through the scenic surroundings, Nordic skiers of all abilities will find plenty of room for exploration. 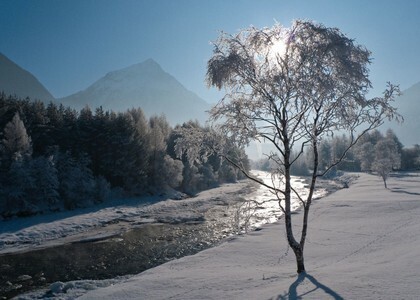 And then there are the views: snow-capped peaks combine with magical white forests and glittering meadows to create a uniquely beautiful winter landscape that will leave Nordic skiers even more breathless than the effort of kicking and gliding through the snow. 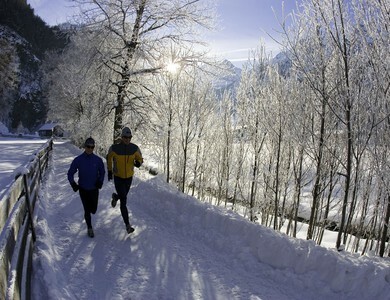 If Nordic skiing is not your thing, Längenfeld offers other ways to enjoy the sparkling winter wonderland, including hiking and running on 40 kilometers of plowed and signed trails. The area’s many friendly inns and huts beckon outdoor enthusiasts in need of warm food and hospitality. 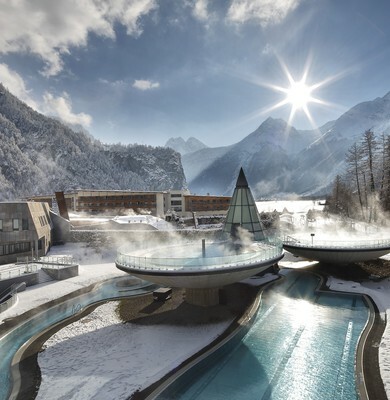 When you’re not out enjoying the good things winter has to offer, you can sink into the warm thermal waters at Aqua Dome Spa and dream of your next adventure in the snow. And in Längenfeld your next adventure is always right around the corner. 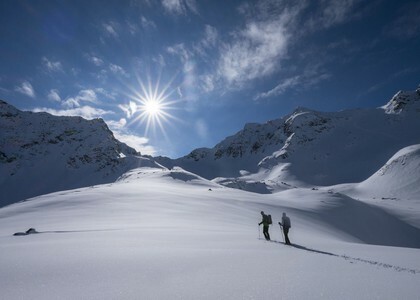 Enjoy hiking also in winter! In Längenfeld there is a network of hiking trails comprising almost 40 kilometers. The trails are regularly maintained and cleared of snow. So put on solid shoes, warm clothes, maybe grab your poles – and get going! Due to regular maintenance some hiking routes may be closed after heavy snow falls. For safety reasons such road blocks have to be respected at all times so that nothing will spoil things for you as you are out enjoying the snow-covered landscape. Leihen Sie sich neueste Ski-Modelle ganz einfach online aus! 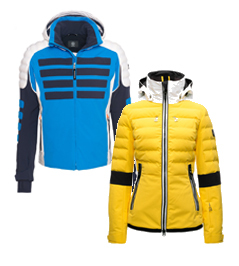 Ihr Vorteil: Bei Intersport Riml sparen Sie 15%!